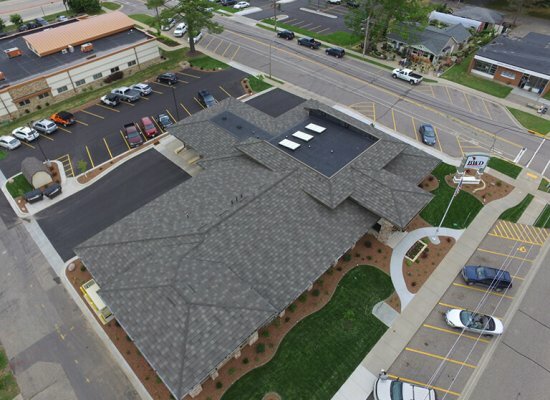 Bank of Wisconsin Dells-Lake Delton branch - Long Life Roofing Co. 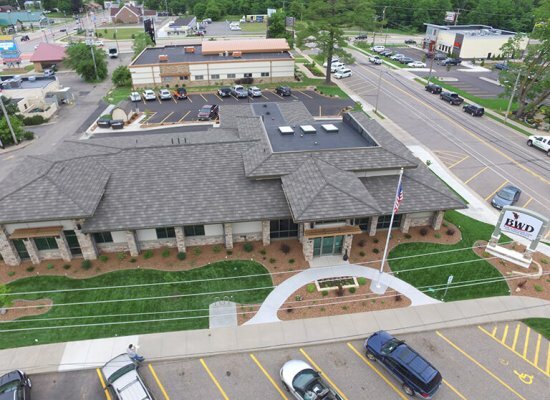 The Lake Delton branch of the Bank of Wisconsin Dells received an addition and complete exterior upgrade in 2016. 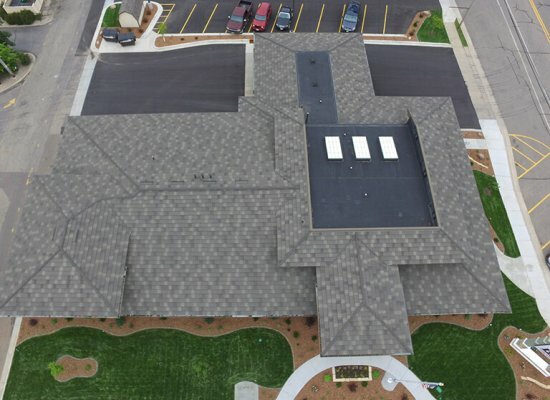 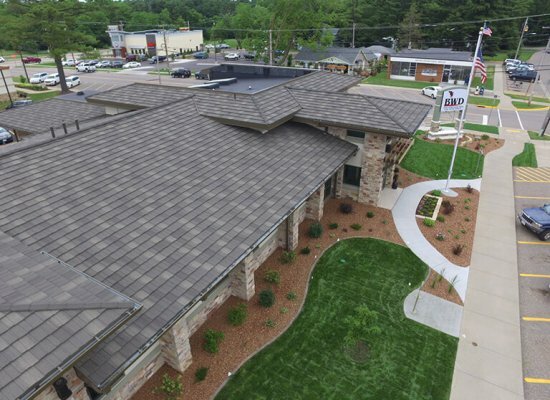 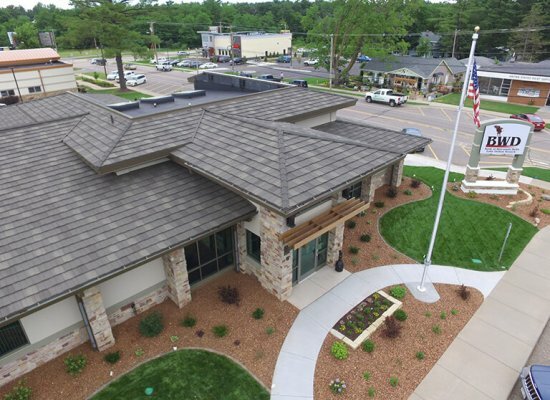 In addition to the installation of a fully-adhered Firestone EPDM rubber roof system on the flat roof areas, we installed DECRA Shake XD metal shingles in the color of Pinnacle Gray to the sloped roof areas. 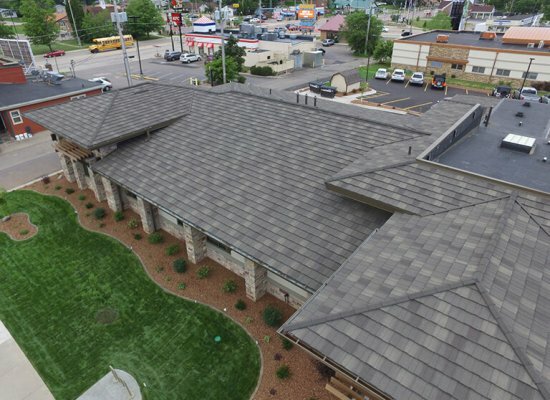 This gave the building the look of a shake roof system but with the endurance of a metal roof system. 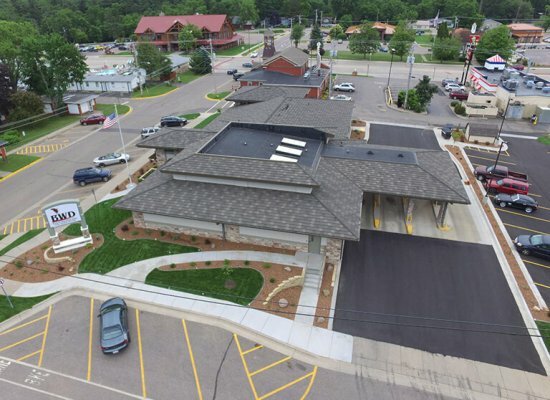 The result is a beautiful building the community can be proud of.